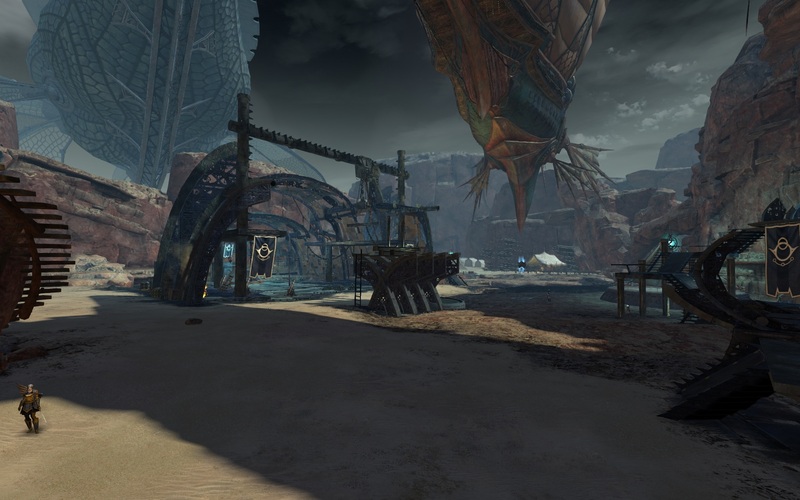 Completing events in the Silverwastes may be the best overall method for earning gold in Guild Wars 2. For one thing, you don’t have to “farm” to make a decent amount of gold. You can just participate in events normally and still rack up a sizable amount of gear and materials that can quickly be turned into gold. With a little practice you can easily pull in 10 gold an hour. Another great thing about the Silverwastes is the variety of events and activities that are offered. 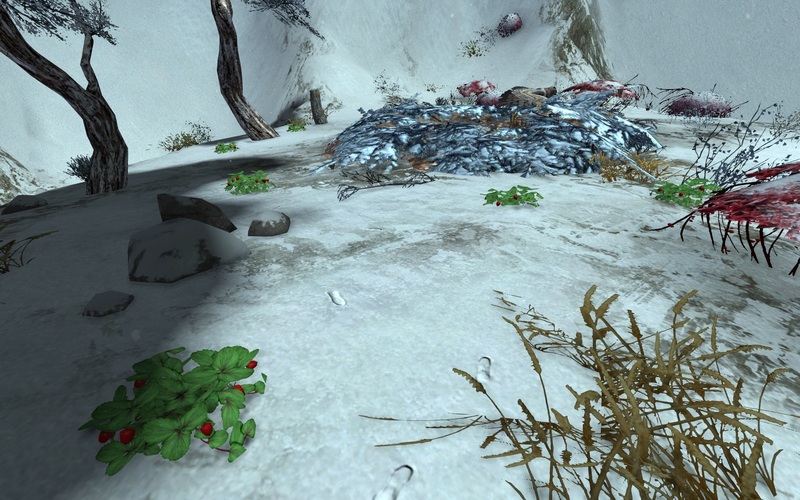 Most gold making methods are fairly monotonous and get boring quickly, but in the Silverwastes you can complete all kinds of different events or even take a break to gather resource nodes. Furthermore, opening Lost Bandit Chests is another great way to make gold, especially after the final event has been completed and everyone is waiting for the next round. So make sure to stock up on Skeleton Keys before you head out into the wastes. For a more detailed guide to making gold in the Silverwastes, check out our Silverwastes Gold Guide. Since the Heart of Thorns “economy” updates, many basic materials have seen a significant price increase. It is possible to make upwards of 15 gold an hour by gathering the most valuable resource nodes (iron, platinum, soft wood, etc). To see which resources are currently the most profitable, check out the live-updated material prices on our Common Material Prices page. There are several online services to help you gather resource nodes as efficiently as possible. 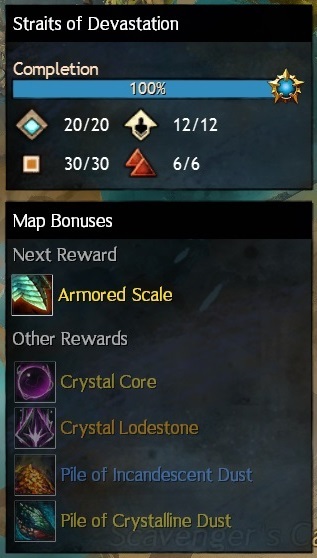 GW2 Efficiency maintains a list of permanent resource nodes, featuring optimal routes. So if you wanted to gather Rich Iron Nodes, for example, in less than an hour you could obtain a full stack of Iron Ore, which would net you over 5 gold. Obviously, the more valuable materials would be even more profitable. Another tip to help you quickly locate valuable resource nodes, is to use Waypoint Chat-links in your Guild’s “Message of the Day”. Copying and pasting a list of Waypoint codes into the MOTD will provide you with an easy to reference list of valuable resource node locations displayed in your guild chat panel. Check our Guild Chat Links guide for more details. 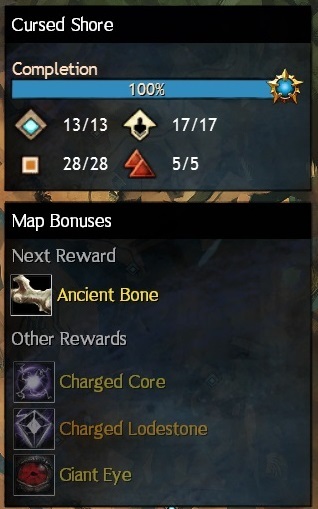 Map Bonus Rewards can be obtained by completing map-specific events around Tyria. Bonus rewards are refreshed every week as part of an 8 week cycle. 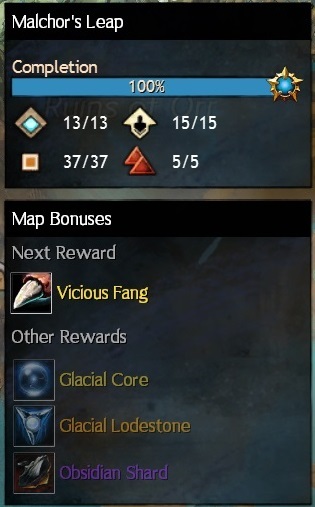 To see which map bonus rewards are currently offered, you can zoom out on the in-game map and hover over the map name to bring up a list that shows the next bonus reward, in addition to other rewards. These bonus rewards are given out for every 200 participation points you earn, which works out to roughly one bonus reward every two events. You can earn map bonus rewards for up to 8000 participation points. To maximize profit, you’ll want to complete events on maps which offer the most valuable bonus rewards. Examples of valuable bonus rewards are “Giant Eyes” and “Silver Doubloons”. Combined with the standard loot that drops from completing events, map bonus rewards can add up to a significant source of gold. If you have the Pact Supply Mastery unlocked you can purchase “Pact Scout’s Mapping Materials” for 5,250 Karma. The Mapping Materials allow you to instantly receive the next map bonus reward for the map you are currently in. You can purchase up to 6 per day by going around to each of the 6 suppliers. 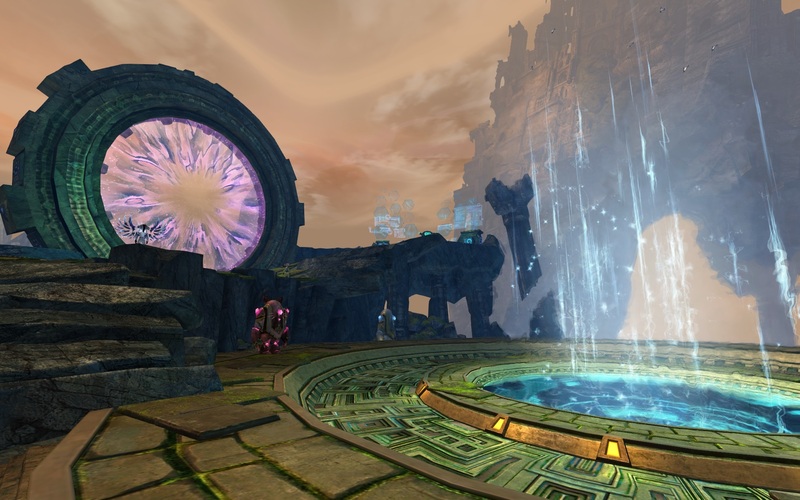 Pact Supplier locations change daily but you can find an updated list on the GW2 Wiki. Considering the short amount of time it takes to complete, defeating Tequatl The Sunless is another good way to make gold. 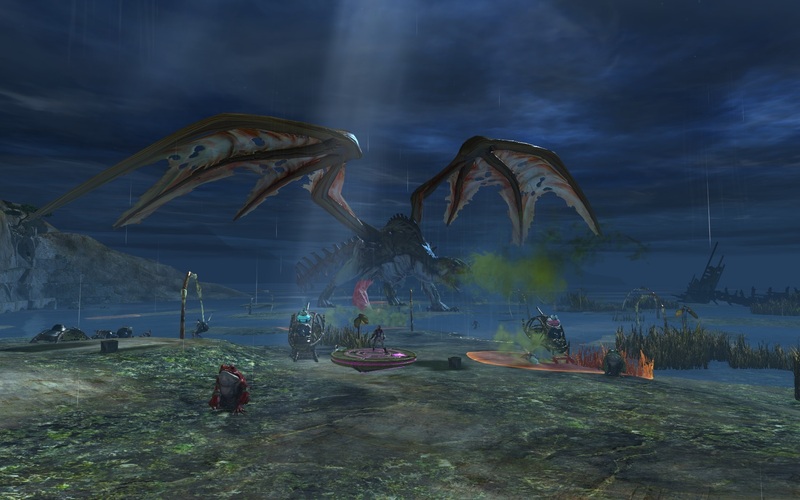 Tequatl is a world boss event located in Sparkfly Fen. For successfully completing the event you receive a flat 1 gold reward, in addition to several other loot chests and items. The event only takes around 15 minutes to complete and results in around 4 gold, depending on the quality of loot that drops. Dry Top is actually a decent map for making gold even though it has been overshadowed by the more popular Silverwastes map. 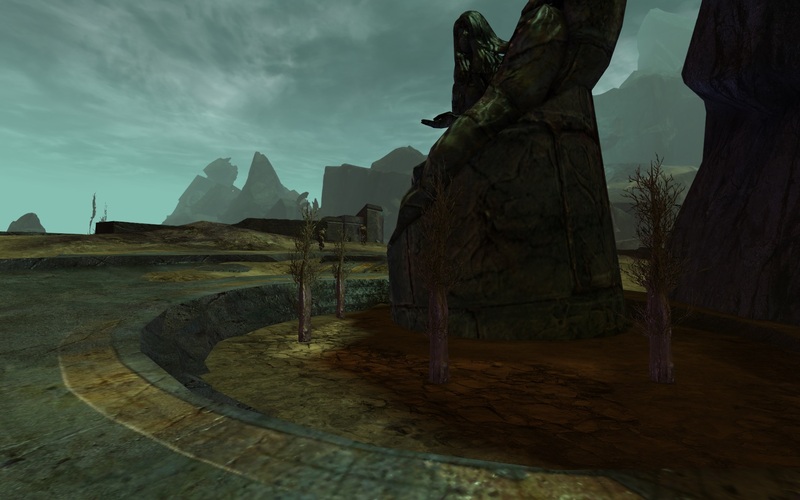 Similar to the Silverwastes, Dry Top features a large variety of events and rewards. In addition, Dry Top has its own version of locked chests called Buried Locked Chests which are opened with Zephyrite Lockpicks. 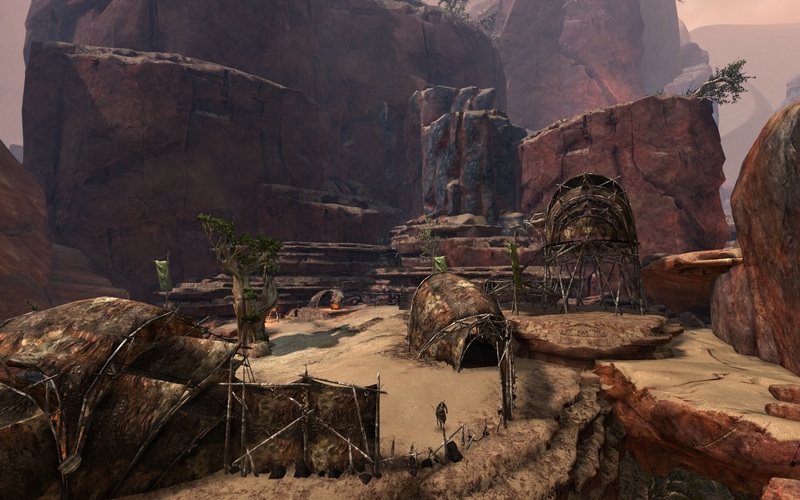 By following the chain of events around the map, you will amass a large supply of Geodes, the Dry Top currency, that can be used to purchase additional items from the vendors. If players complete enough events, the map will unlock higher tiers that enable vendor goods to be purchased at a reduced price. Fractal level 40, otherwise known as “Molten Duo”, is the fastest fractal to complete. From one level 40 fractal run you receive a number of agony infusions, encryption keys and other loot that can quickly be turned into gold. You can repeat this fractal as much as you’d like. It’s most likely the fastest way to earn gold in Fractals at the moment, at least until Fractal rewards are revamped in the coming months.